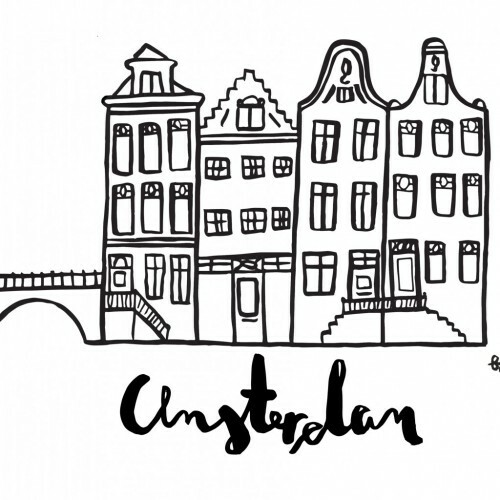 I’m a citizen of Amsterdam so I thought: maybe I could post some blogposts about all my favorite spots in Amsterdam. I’ll share my favorite shops, restaurants, bars, areas and sights. So if you ever go to Amsterdam, you go in style! First shopping of course. Well, Amsterdam is a city where you can shop where ever you go. A thing I really like about Amsterdam is that there is only one quarter where you have the big and well-known departments stores, but that’s it. It’s not like where ever you go you find a Zara or a H&M. Funny fact, there is only one Zara in Amsterdam. As I mentioned in previous posts: JAN. It is a concept store where you can find the greatest jewelry, bags, shoes and other things like trendy cookbooks, baby clothes, sunglasses, watches and more. You can find JAN in de Utrechtsestraat and in the quarter ‘De 9 Straatjes’ in de Wolvenstraat. JAN in ‘De 9 Straatjes’ will soon be named: KO. Smaak Amsterdam. Smaak is a bag store selling these super luxurious bags which are all made of 100% leather. I am in love with these bags. They have all kinds of bags, from clutches to the bigger ones! And the bags are all so amazing and beautiful in their own way. I love this store! Rika. There are two Rika stores opposite of each other. They have their own designs, but you can also find other brands like Alexander Wang or Maison Michel. Scotch and Soda is a Dutch based brand and they have a very trendy and fashionable clothes collection. One thing I really love about this store, except the clothes: when you walk into this store, you will smell some kind of really nice fragrance and I just love it. It is a little bit expensive, but totally worth it! Rum Amsterdam is a clothes boutique with all kinds of high-quality brands. And of course Fab, which I told you about in my earlier post. Tip: if you want a map of this area, just walk into the first cafe or shop you’ll find, they all hand out very handy little maps. De Utrechtsestraat is a similar kind of street like ‘De 9 Straatjes’, also with the concept stores and the trendy shops! If you go for deluxe and expensive, you have the P.C. Hooftstraat, with its famous flagstores of Chanel, Louis Vuitton, Fendi, Dior and all the other expensive stores. It is a very beautiful street, but my preference goes more to the Cornelis Schuytstraat. There are not that expensive stores like in the P.C Hooftstraat, but they come close. You can find there exclusive and not very popular labels and stores. When I have the time, I always pop into French Connection. I am totally in love with this store. It is affordable, but very good quality and worth the money. You find VLVT, where they sell brands like Kenzo, Cavalli, Tony Cohen and Zoe Karssen. Besides the stores it is just a delightful street to walk through and you find Brasserie Van Dam and Joffers where you can have a very stylish and tasteful lunch or dinner! Anna + Nina, a conceptstore just like JAN.
Patta, if you are looking for exclusive and very trendy sneakers. Raak , a store with brands like Zoe Karssen, Red Valentino and Balmain. Hema. This is a store different from the others. You can find there stuff for in the kitchen, clothing (not so nice clothes..), cosmetics and more. I love the DIY-things, like they have all kinds of stamps and the little notebooks and tapes. And all very low-priced. Bijenkorf has all the expensive brands. All shop-in-shop. Magna Plaza, where you can find stores like Mango, America Today, Sissy Boy and Lacoste. Been planning to visit Amsterdam for so long! This guide will help! Thank you! Glad you like it! You also have a great site! Well done! Heading there again this summer, and came across this and loved it! Super informative and well written! Shopping in Amsterdam is amazing, cant wait!